You are currently browsing the tag archive for the ‘Needle thinning’ tag. It’s a time of the year that I both look forward to and dread. 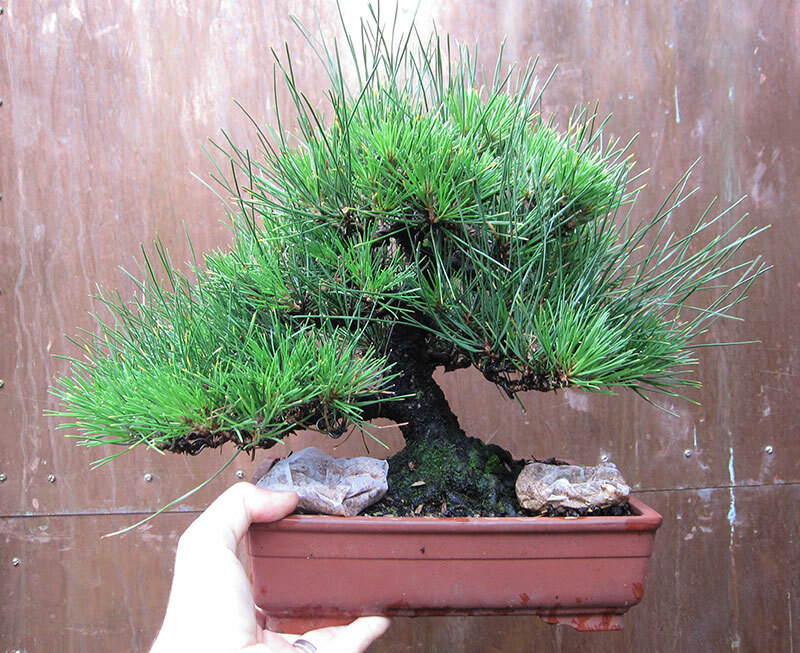 Once you amass a certain number of pines you begin to realise just how much time you need to set aside to give each tree its seasonal maintenance. This year, I have moved house and as a result some of the trees I would have normally have worked on earlier in the month were left until now, so the back log of tasks compounded the time I needed to spend on them. That being said, once I began the work I really enjoyed getting to see just how each tree had been growing over the season. 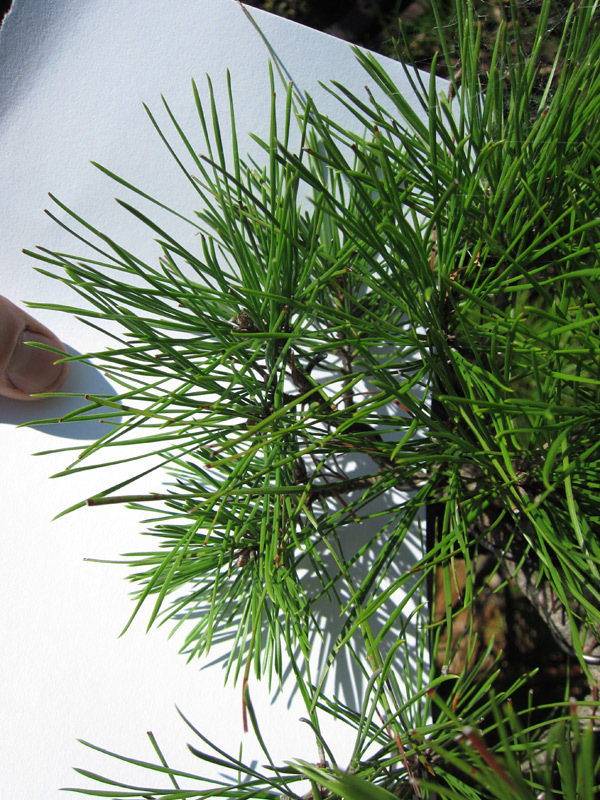 When you thin needles you get to inspect very closely every branch of the tree and evaluate each new bud, needle and twig. You really get to know your trees while doing these tasks. Why do you thin needles? You should thin needles at this time of year for a few reasons. By removing last season needles you let more light and air into the canopy which in turn encourages back-budding. By removing some of this seasons needles on strong areas you are able to balance strength across the tree foliage. By removing surplus needles you also reduce the amount of places that insects and other pests are able to hide. 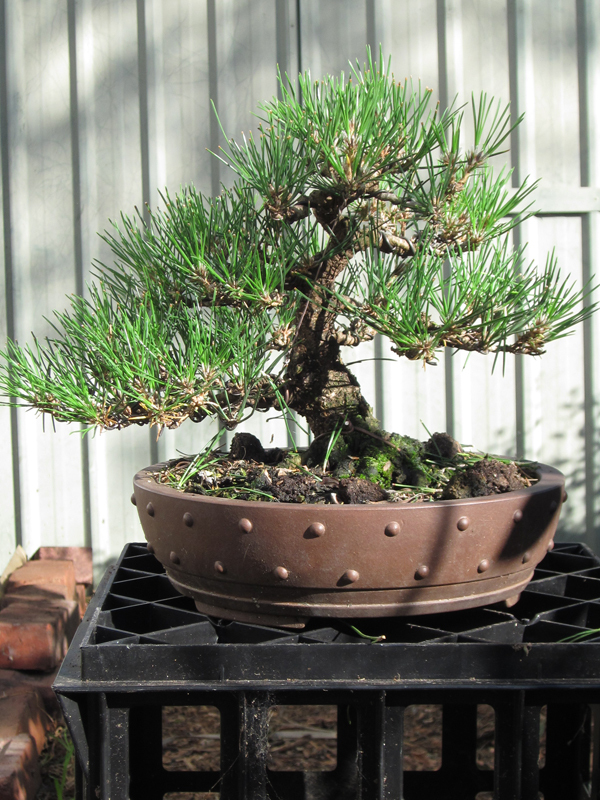 I like to think that needle reduction for pines works a little like defoliation does for deciduous trees. 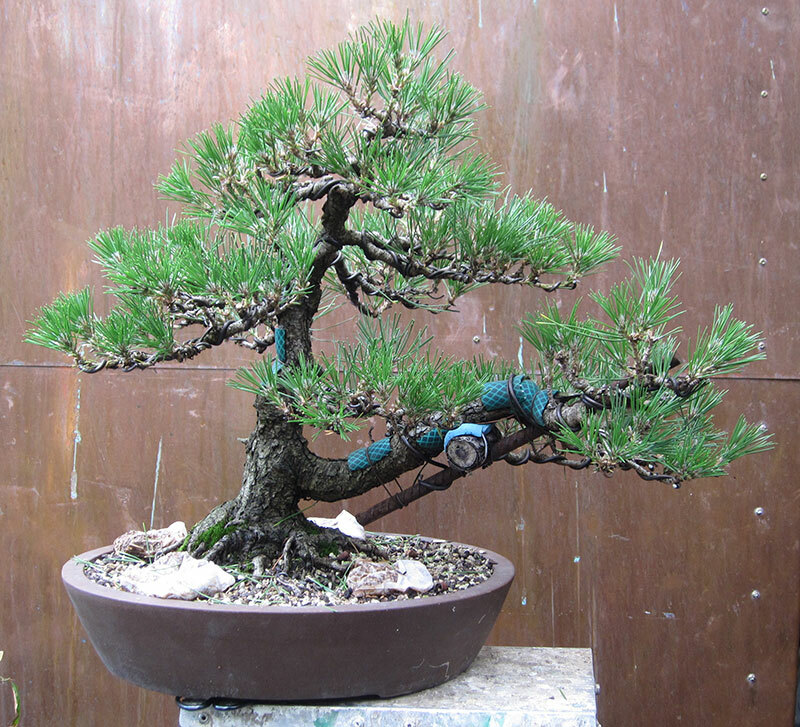 I figure that the pine realises it suddenly has less foliage and as a result sets new buds which will grow the following spring to replace the needles that you removed. 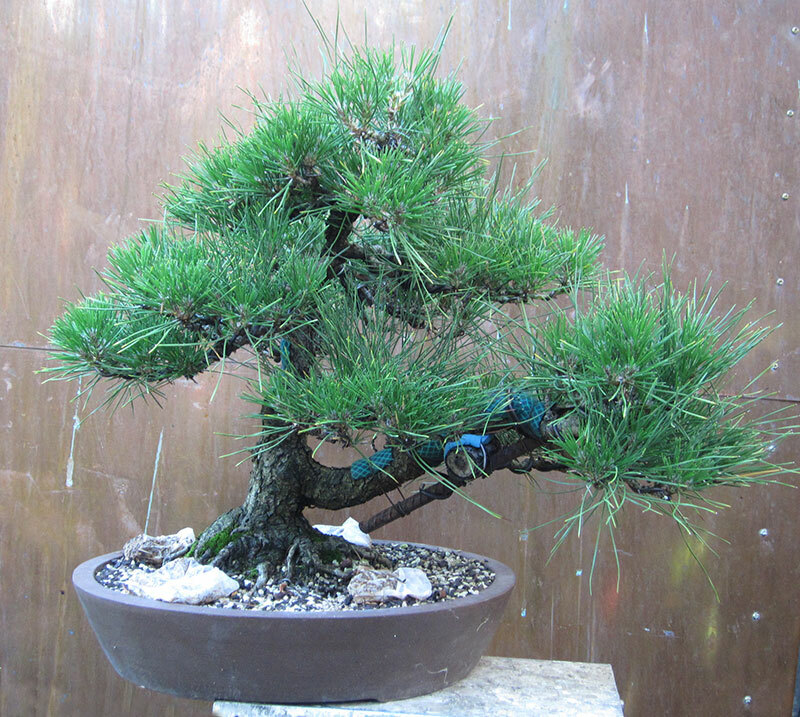 As pines cannot simply grow new needles they have to throw new buds. Most of these new buds will be dormant buds back within the canopy. These are the buds you want. This back-budding is what will give you foliage to cut back to in the future and which will prevent branches becoming leggy. This year I have left a few more pairs of needles then I usually may on some trees as I plan to re-pot them come spring and figure they could benefit from the extra strength more needles will provide. 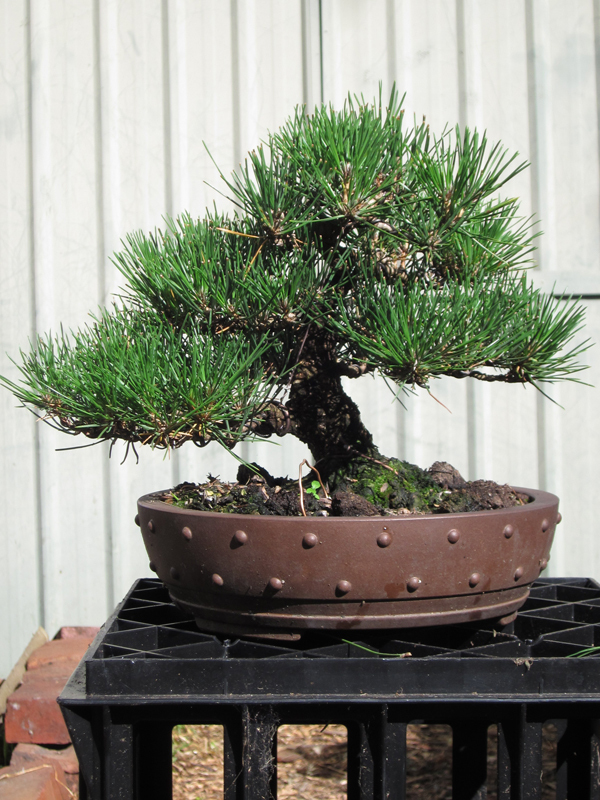 A Formal upright Black Pine in the making. This image was taken prior to beginning needle thinning. The same tree after thinning. It is still very much in developement but after a few years of work i hope to have a more complete looking tree. 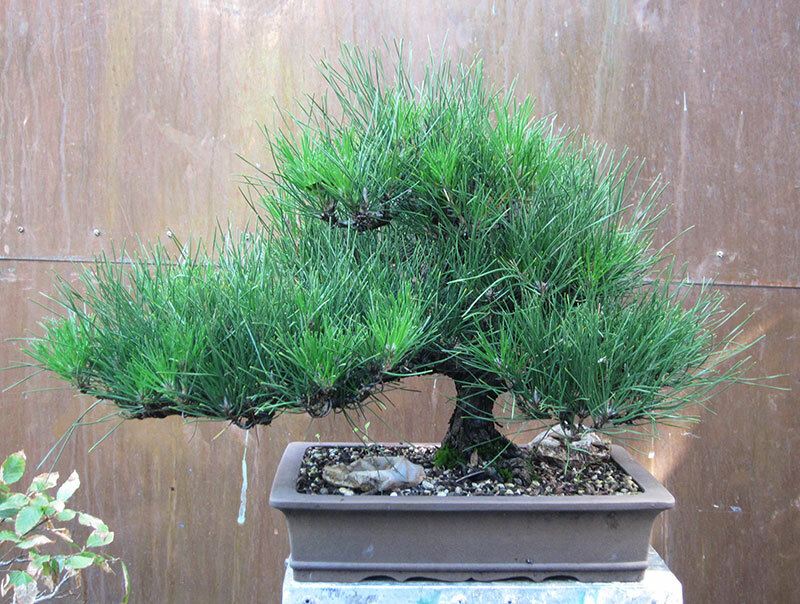 This is another JBP from the same batch as the above pine. 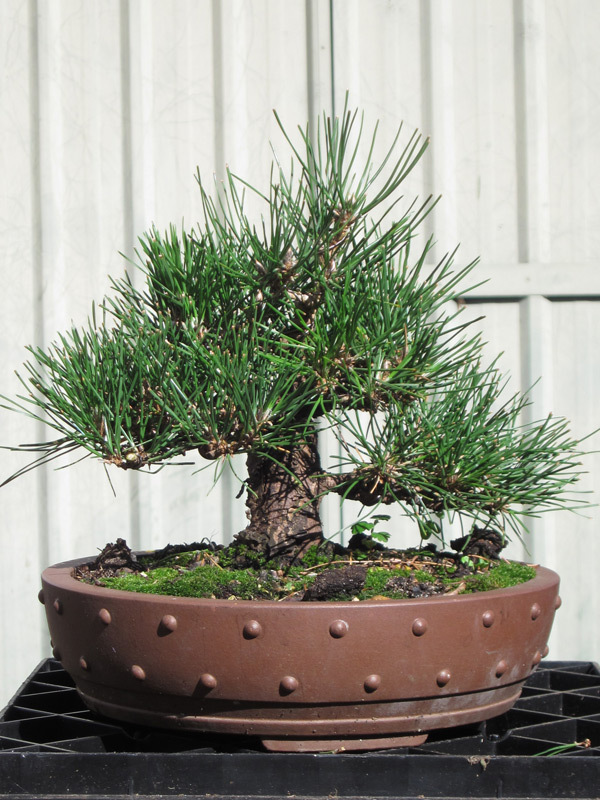 It has developed much better than the above pine. It avoided many of the mistakes the other tree had to endure as i was learning. Photo was taken before thinning. 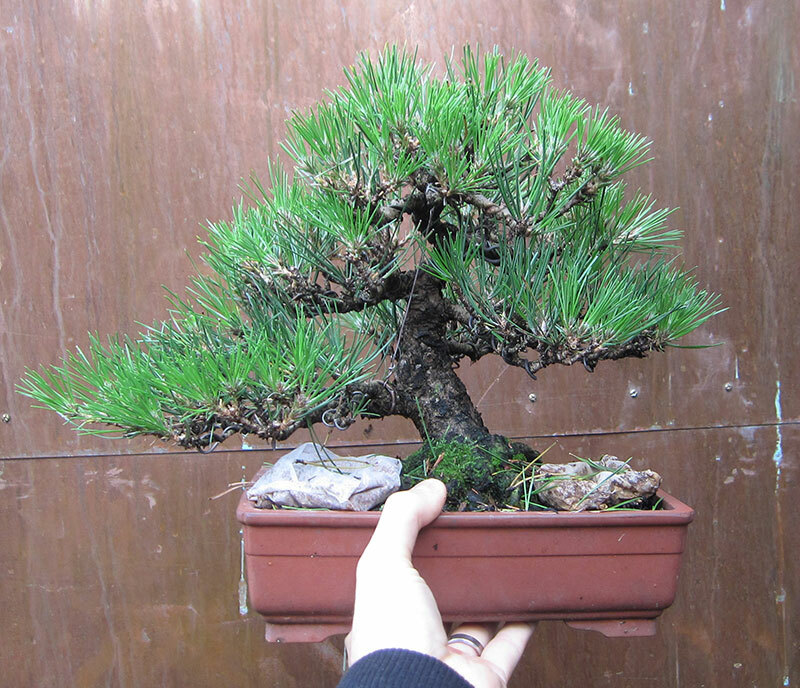 The same tree after thinning. It needs the apex developed but otherwise is on the right track. 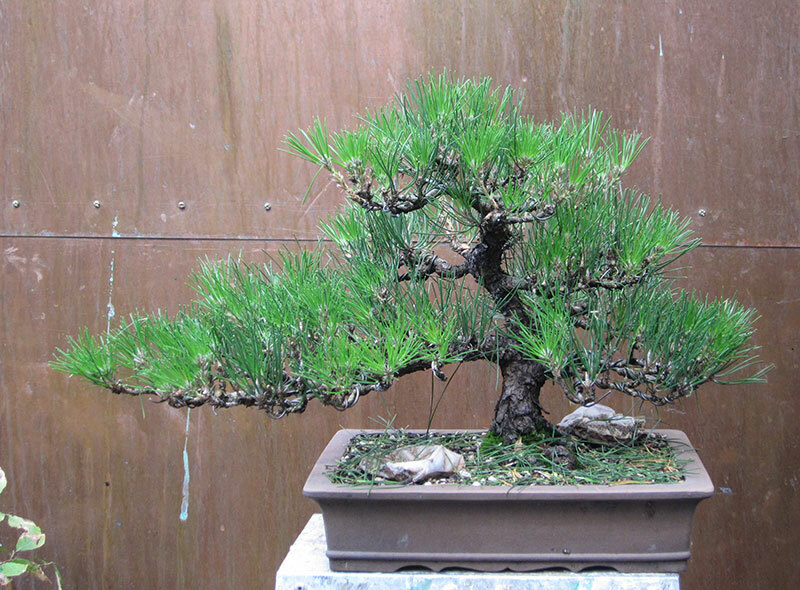 I am also planning to graft a back branch or two into the upper section this spring which may be the topic of a future post. I also thinned my large Radiata. I again left more needles on it that i usually might for two reasons. The first reason is because I will be re-potting it this spring and I want it to be strong. 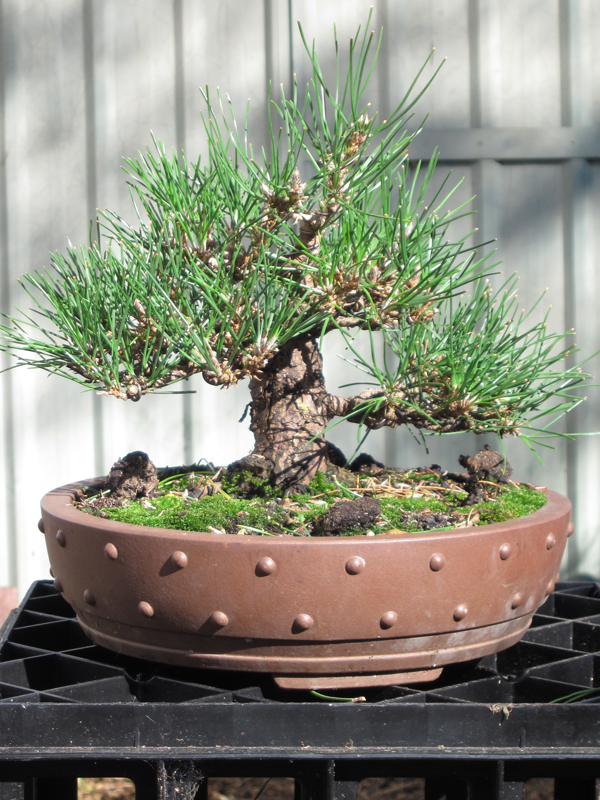 The second reason is because I am experimenting with leaving more foliage on it much like you would on a white pine. We will have to see how that works out. 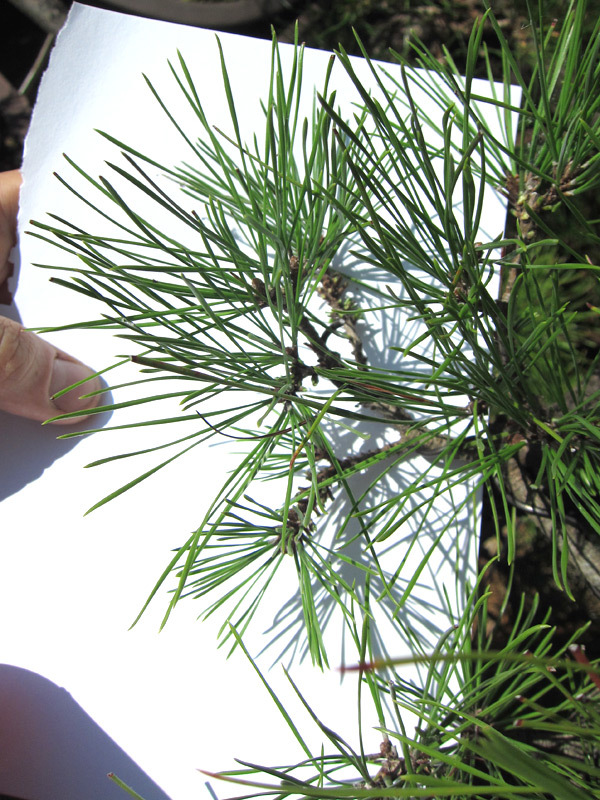 A Radiata branch prior to thinning. And the same foliage after a light thinning.